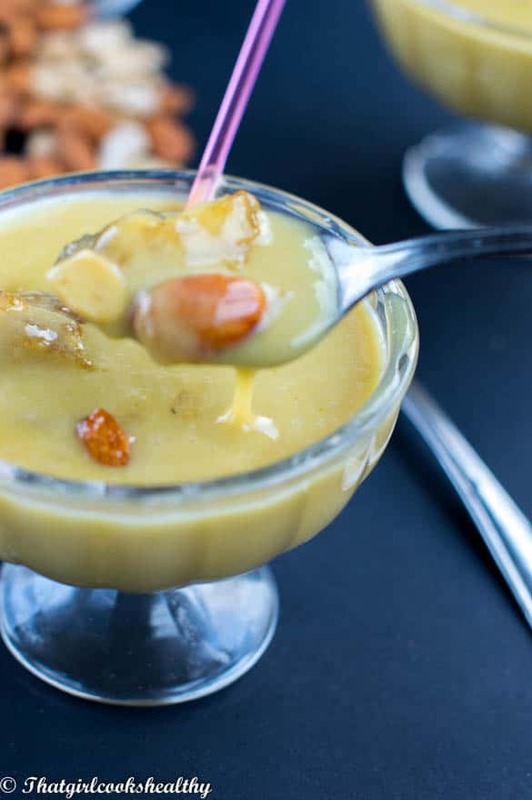 Homemade butterscotch pudding – paleo friendly butterscotch pudding made from dairy free butter, eggs, coconut sugar, coconut milk and thickened with tapioca. Who doesn’t love some homemade butterscotch pudding as a sweet evening treat? Any takers? I can I tempt you with my slightly healthier version of this deletable pudding? Okay well maybe I should talk more about my past experiences and how I’ve converted a conventional pudding into a dairy free and paleo friendly one. I’m not a dessert person, never have been and probably never will, who knows as things can easily change in life. With so many dessert enthusiasts out there and being a food blogger, with aim to please so I just had to pull this one out of the bag. My mother used to reward us for our good behaviour with butterscotch pudding and to this day it’s one of my favourite sweet after dinner treats. Although, I don’t eat it very often I felt the need to share something I’m passionate about with my readers. Of course growing up, before I transitioned to a dairy free lifestyle, mother would make dessert with cows milk. Now that I’m lactose intolerant, there was a time when I wouldn’t make this all. Since discovering these foolproof nut milks, they’ve enhanced my dietary requirements immensely. I no longer feel excluded and the great thing is even people who consume dairy can join in on the fun. 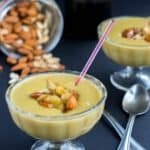 I recently tried this recipe on some dairy drinking family members and even they too were impressed with my copy cat version. 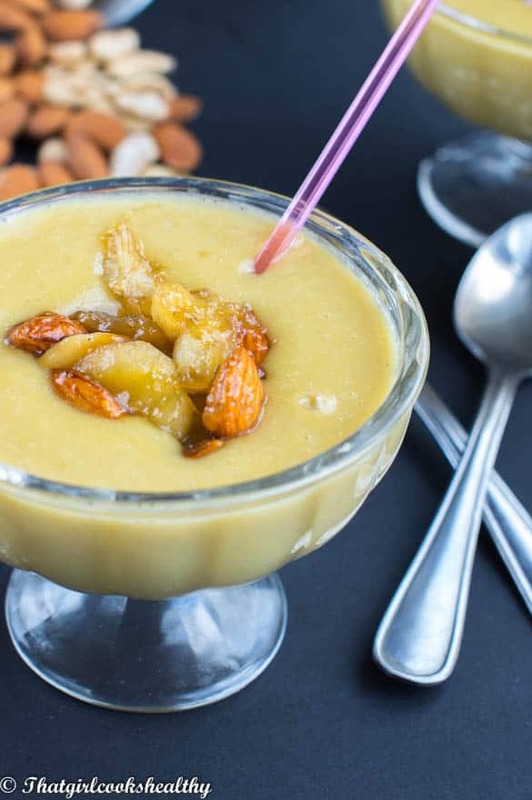 Don’t feel the need to restrict yourself to coconut milk, being from a culture where coconut milk came secondary in my life, I have a tendency to be partial to its usage. 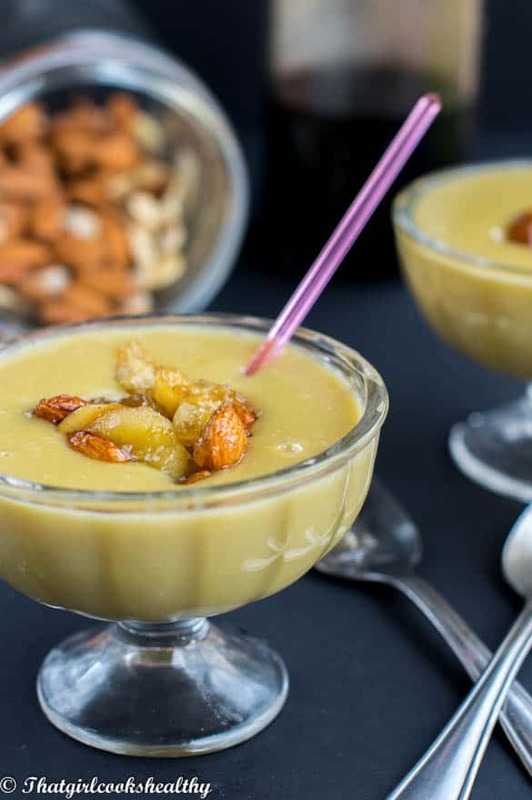 Almond milk or even cashew should suffice – haven’t tried it myself but most nut milk seems to substitute many recipe unless a distinctive flavour is required. I initially used my homemade coconut milk emulsified with non gmo sunflower lecithin to bind the water and coconut fat together. Full fat milk will yield a stronger coconut flavour, which might be too overpowering for this recipe, so please be mindful of that. I didn’t find this to be the case with my homemade version. Instead you’ll find a combination of homemade ingredients like vegan/dairy free butter, coconut milk, palm sugar, cage free eggs, vanilla, pink salt and tapioca flour to act as a clean starch thickener. The most difficult part for a beginner will be the tempering stage, tempering is a technique where hot liquid, in this case milk is added slowly to the eggs. The idea is to carefully increase the temperate of eggs, with the milk without scrambling them. Now don’t worry if you don’t master it the first time, it does take some practice especially if you’ve never tempered or worked with a thickening agent before. 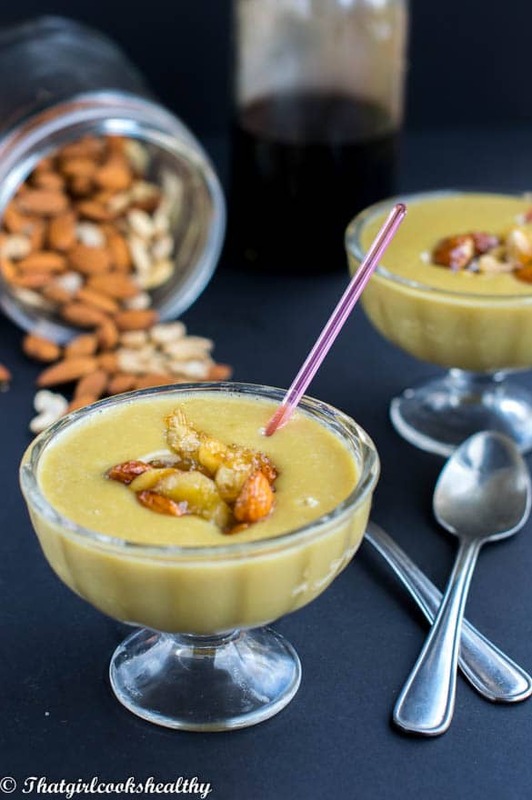 Dessert time just go better with this dairy free homemade butterscotch pudding – a true crowd pleaser. Serve with a dollop of dairy free cream or candid fruit. Bring the coconut milk to a boil once the the bubbles and foam begin to appear reduce the heat to low and simmer for 5 minutes. While the milk is simmering, add the egg and egg yolks to a medium size bowl and whisk them together. Then add the cup of sugar to the eggs, whisk everything together in order to breakdown any sugar lumps, by now you should notice a rich golden brown colour. Add the salt, vanilla and sieved tapioca flour to the egg/sugar mixture and mix both ingredients with the others. If the mixture seems too thick add up to a 1/4 of a cup of coconut milk to reduce the density. Remove the milk from the stove and gradually add the hot milk to the egg mixture, while stirring so the eggs don’t curdle. This is known as tempering. Pour the milk in carefully, stirring at the same time until the rest of it is added. Now pour the entire liquid back into the saucepan to cook the pudding and return the pan to the stove and cook on medium/low to thicken up. Be sure to constantly stir to prevent lumps from occurring. As you stir the mixture will begin to thicken up around 3-5 minutes, with bubbles forming. Once thickened use a big sieve to strain the pudding into another mixing bowl. As you pour the mixture into the sieve, stir to eliminate any lumps. When strained, proceed to mix in the butter. Allow to cool down before transferring to the refrigerator to serve chilled. Serve with candid fruit/nuts or a dollop of dairy free cream. Thanks for commenting, yes I too don’t to the processed puddings, even more so now I’m a food blogger. I hope yourself and the family enjoy my recipe. Looks wonderful! It has been awhile since I’ve attempted making stovetop pudding. Have you heard of glucomannan as a pudding thickener? I do that quite often. It is calorie and carb free. Also makes you feel full! It’s a great healthy ingredient to use. Hi Collin, thanks for commenting. I totally forgot about the wonderful health benefits of using glucomannan as a thickener, it’s on my grocery list, will use this more on the blog from now on. I have never made pudding of any kind before. Box only. Which means we don’t eat pudding because I don’t understand some of the things they put in that boxed stuff. But I have fond memories of tapioca pudding and would love to try to make this butterscotch one with its healthier spin. Thanks for linking up to #SaucySaturdays. You’re welcome Christine. A lot of people are phased by making their own version, it’s very simple. I hope you try my recipe :). Looking forward to the next link party, I shall be there ;). Butterscotch pudding takes me back to my childhood! My mo mused to make me pistachio or butterscotch when I was sad. Of course, her pudding was the cook and serve from a box kind! Not like this! Nothing beats the homemade stuff, thanks for commenting.